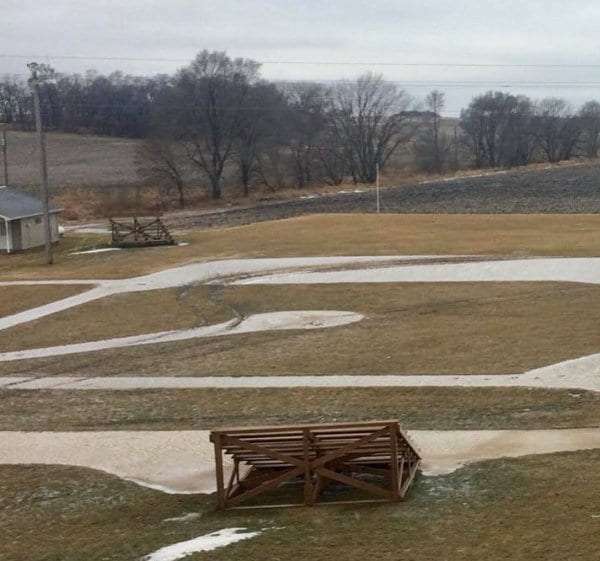 A Go Fund Me page has been started to help repair The Field of Dreams baseball diamond in Dyersville after someone vandalized it Monday night. Owner Denise Stillman of The Field of Dreams says thousands of dollars in damage was done when someone drove a vehicle through the infield and outfield, leaving deep gashes and ripping up the turf. The sprinkler system was also damaged. The Dubuque Telegraph Herald reports that workers at the movie site found the damage Tuesday morning. Stillman says repairs will continue through the summer, but the field will remain open. Opening day is April 1st. Many local residents and fans of the movie worldwide are outraged by the vandalism. The movie site remains one of the most popular tourist attractions in the state, drawing around 100-thousand visitors each season. And many have stepped up to help… Stillman started a Go Fund Me page Tuesday night with the hopes of raising 15-thousand dollars to repair the field and install a security system. By the next morning, nearly fifty people have chipped, with the amount already at nearly two-thousand dollars.